Seattle, 2 December 1999 — Médecins Sans Frontières, Health Action International and the Consumer Project on Technology today welcomed President Clinton’s World Trade Organization (WTO) announcement that the United States government would change U.S. trade policy to support greater access to lifesaving medicines. The three public health groups also hailed the U.S. President’s speech for raising health as a critical issue for the agenda of the WTO talks and hoped that other nations would also ensure that intellectual property rights do not negatively impact public health. The groups urged President Clinton to back up his words with concrete actions by removing current trade pressures against poor countries on health care related disputes. The health advocates also urged the WTO Member States to create a Standing Working Group on Access to Medicines to ensure that the WTO rules do not impede access to lifesaving medicines. In his speech to WTO ministers, President Clinton said “...the United States will henceforward implement its health care and trade policies in a manner that ensures that people in the poorest countries won’t have to go without medicine they so desperately need.” The United States Trade Representative (USTR) Charlene Barshefsky and Health and Human Services Secretary Donna E. Shalala also announced a new co-operative arrangement whereby the USTR promised that public health officials would assess the health ramifications of the U.S. intellectual property rights policy. This change in U.S. policy opens the door to effective use of compulsory licensing by national governments for making essential medicines available to their citizens. 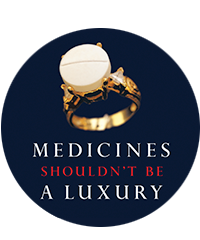 The three groups specifically called for the creation of a WTO Standing Working Group on Access to Medicines to review issues concerning intellectual property rules as they relate to access to medicines. This Working Group would also help developing countries use the existing provisions within the Agreement on Trade-Related Aspects of Intellectual Property Rights (TRIPS) that allow for the protection of health. Ralph Nader’s Consumer Project on Technology (CPT) also expressed optimism that public health considerations would be given more prominence, but asked President Clinton to follow his words with action, and stop U.S. trade pressures against not only South Africa, but Thailand, India, the Dominican Republic, the Philippines, and dozens of other poor countries. “This represents an opening for poor countries to step forward and fully utilize provisions in the TRIPS Agreement that allow them to make affordable lifesaving medicines available to their citizens,” said Zafar Mirza, M.D., head of the Health Action International (HAI) delegation at the WTO meeting.